No other institution in the State receives the disdain or faces the extreme challenges Milwaukee Public Schools does. We easily forget that many kids still go to school in MPS and there are many people that earn a living as MPS educators and staff, what must this do to their morale? Similar to watching Musicland close, bricks and mortar compulsory education systems hit headwinds today that private businesses hit a decade and a half ago. All but abandoned by education policy-makers on school choice island, and with graduation rates hovering at 60% MPS certainly deserves criticism. MPS simply hasn’t responded to the changing texture of youth culture, or education pedagogy and finance. 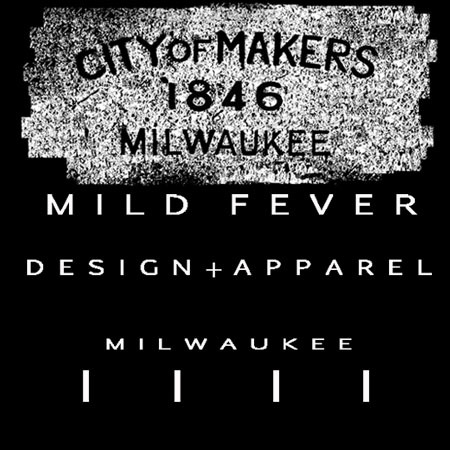 Even the logo (*sigh*) so nostalgic, and so indicative of the general time warp many pockets of Milwaukee hover in. On the centimeter side of the ruler, if the youth aren’t going to take advantage of the amenities of public education adults still can. MPS offers a nice selection of recreational classes for reasonable fees. Actually, MPS offers a variety of youth programs as well, a highly suggested path to getting youth engaged in constructive social activities. Ignoring the downright comical cover page marketing of the MPS Recreational Catalog, lets get to the contents of the book (please tell me why they are still pulling out the permed Karate master picture, and juxtaposing it with the prototypical scarfed teacher and adolescent tooth fairy victim?!). So long as you don’t fax your registration in (which is still an option), you still have time to register for classes. There are an assortment of first aid, art, fitness, and music classes available, which may actually provide a practical prerequisite for jobs like sports referee or starving artist. Others are just down right unexpected. DIY everything else, why not flower arrangement. In fact, you could grow flowers then arrange them. Sustainable, local, romance. Not sure what you can use this for, but art guerrillas probably can find some use other than document forgery. Frank Abagnale Jr. would be proud you turned over a new leaf. You’ll need your own glass cutter and soldering kit, damn it you’ll be adorning Cathedrals in no time. Sushi Making – Rock n’ Roll Sushi starts February 29th. If you can’t wait you can take regular Sushi making class with Cate. I like sushi, I feel bad for any one who doesn’t there I said it. My question is why get a balled up like a Yogi then eat like a Sconnie… Yo, back away from the fried cheese curds. Everybody loves a deal, and despite the title this won’t be about cheap living (i.e. cutting the toothpaste tub open and scrapping with you tooth brush for residue), it’s about couponing and finding bargains. Well, this might be your best chance to make it on a reality t.v. show. All smart-alec comments aside, Milwaukeeans are plenty lucky to have these types of opportunities readily available Winter, Summer and Fall. One class I’m interested in started already, but I’ll definitely be looking to expand my repertoire of knowledge with a session in rug making. I’m very grateful somebody will teach that! Speaking of, if you’ve got expertise in something, MPS does accept proposals for new classes or proposals to teach existing classes if you might want to become a part-time paid instructor. This entry was posted on January 20, 2012 by L.S. Trolley. It was filed under Happenings .